This graphic Irish Women Writers card set by At it Again! 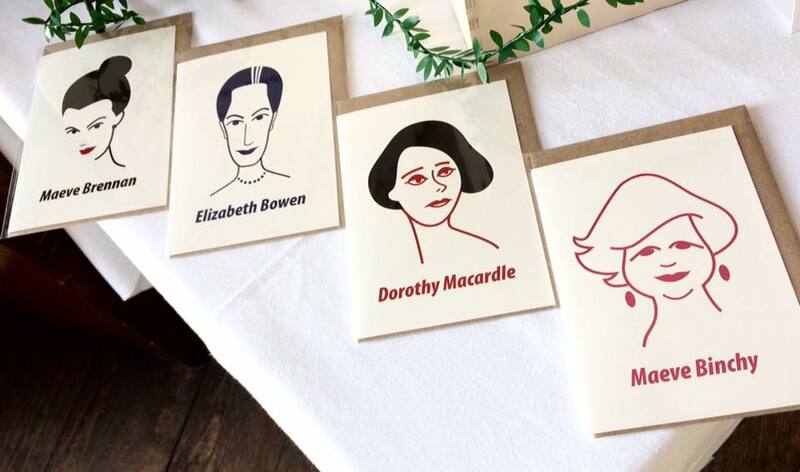 features iconic images of Edna O’Brien, Maeve Brennan, Elizabeth Bowen, Maeve Binchy, Maria Edgeworth, Lady Wilde, Lady Gregory and Dorothy Macardle. 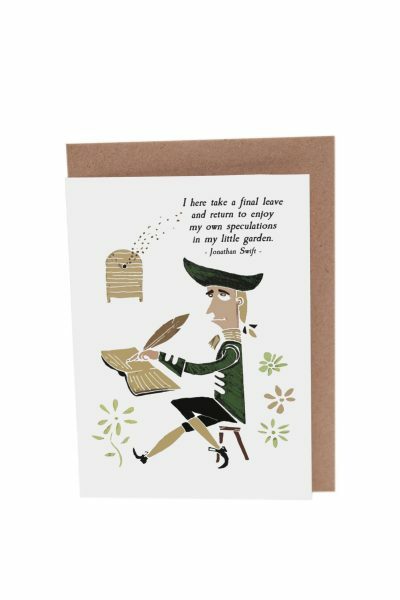 Great literary cards for book lovers and a keepsake of Irish history and culture for birthdays or other special occasions. Made in Ireland. 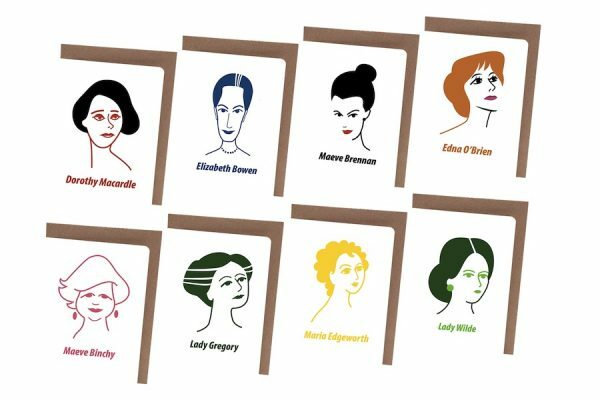 These graphic Irish Women Writers greeting cards by At it Again! feature iconic image of Edna O’Brien, Dorothy Macardle, Elizabeth Bowen, Maeve Binchy, Lady Wilde, Maria Edgeworth, Lady Gregory and Maeve Brennan. 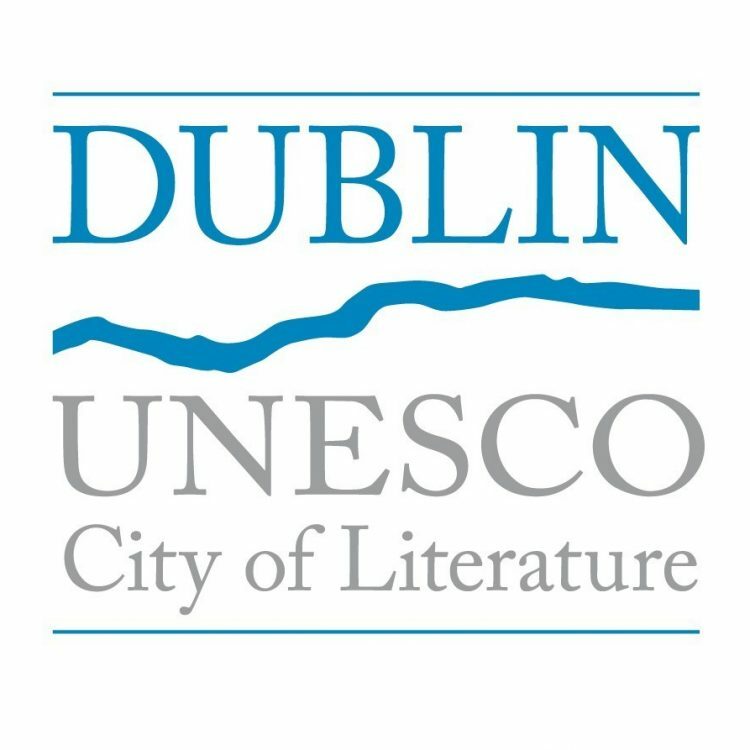 Created and printed in Dublin, Ireland, with the support of UNESCO Dublin City of Literature, they are the perfect cards for lovers of books and Irish culture. 8 blank A6 cards with eco-kraft envelope.